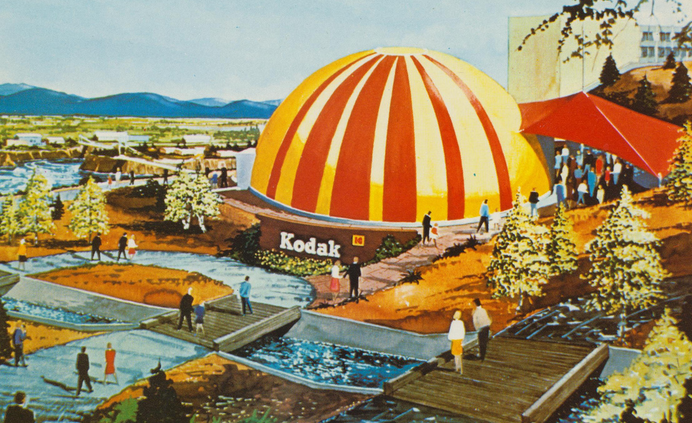 Eastman Kodak air-supported "bubble" theater seats 200 fair-goers for a movie on environment. 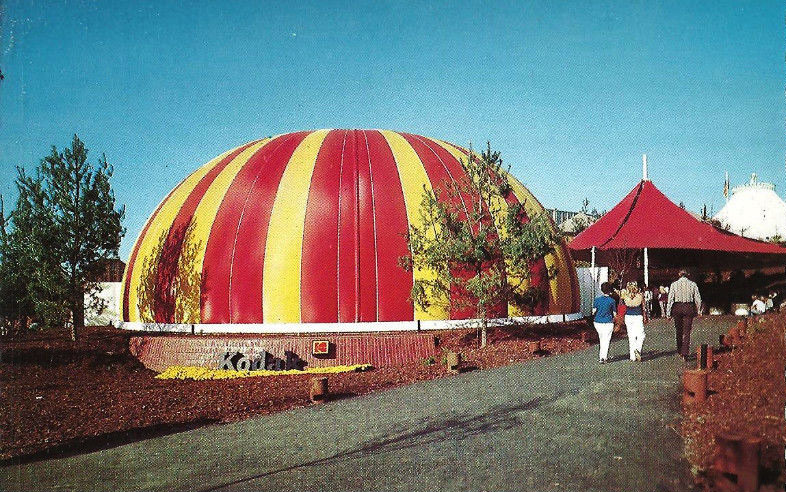 The theater, of plastic-impregnated fabric, is adjoined by a diamond-shaped structure in which the Expo visitors can await entrance to the movie. Experts will advice fair-goers on their photography questions. The exhibit occupies 4,000 square feet.